Looking back at 2017 and planning for 2018, one thing is sure when it comes to digital marketing – content marketing is here to stay, and if you still aren't using it, you definitely should. Your competitors probably already are! 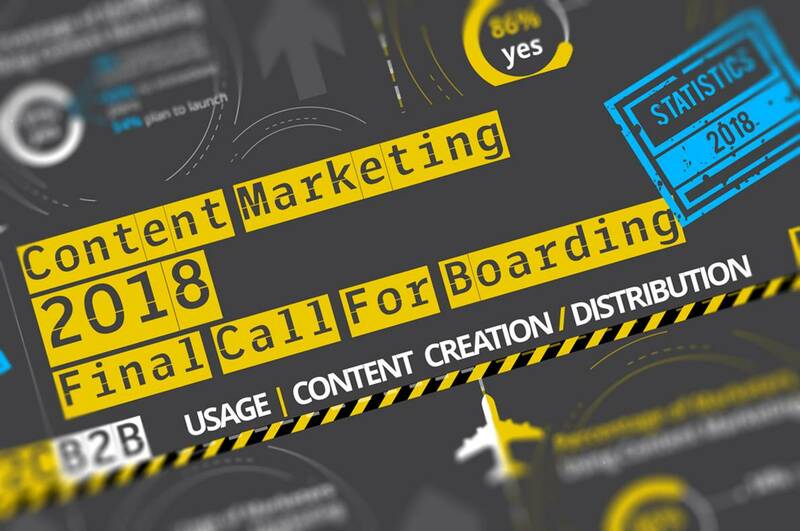 The vast majority of respondents from B2B and B2C marketing world have confirmed that content marketing has helped them increase audience engagement and number of leads. At the beginning of 2017, big 89% of B2B marketers used content marketing for their promotional campaigns. The trends were predicting the number will grow and they were right – 92% of them are using content marketing today. When it comes to B2C marketers, 60% of them recognized the importance of content marketing and are extremely or very committed to it. Still, it's not always ideal. In both B2B and B2C content marketing, there are almost 40% of marketers who are using content marketing but without any documented strategy. It has been reported that those who do have a documented strategy usually have better results, so it's not a surprise that 75% of B2C marketers who don't have a documented strategy plan to work on one in the next 12 months. Only some parts of content marketing are done in-house. Around half of B2B marketers have small or even one-man teams working on content marketing, so it's no wonder that over 50% of them outsource some parts of their campaigns. Content creation is the thing that is mostly outsourced both in B2B and B2C content marketing. So, what to expect in 2018? More clever, unique, creative, long-form content. Today it's all about standing out and creating experiences, not just words or images. In 2018, content marketing won't be about numbers but relevance and exclusivity. For more stats and predictions for content marketing in 2018, check out Point Visible infographic below!